Frozen: The Art of Story – This panel will offer a behind the scenes look at the hottest family movie in recent memory. Panelists will present a look at the art as well as showcase a few sequences including, yes, Let It Go. By the way, the current global box office total for Frozen is $1.11 billion. That’s a lotta snowcones. DC Comics: Batman – Batman Eternal recently launched and sold out within the first couple of days on store shelves. Expect that title along with Scott Snyder’s Zero Year and other Batman titles to be the focus of this panel. Warner Bros. Arena presentation – The studio is bypassing press events and going straight into their Arena presentation which will feature Godzilla, Edge of Tomorrow and Into the Storm. I’ll probably hold off and wait from some of the footage to be released online, so look for this at the end of the day or by Sunday morning. 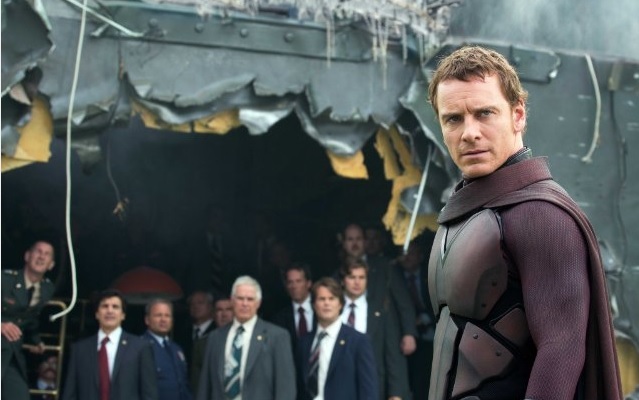 FOX Arena presentation – Fox is going all out (well, all out as far as Wondercon is concerned) with X-Men: Days of Future Past, Dawn of the Planet of the Apes, How To Train Your Dragon 2 and The Maze Runner. Same approach with WB applies here. I’m sure there’s going to be clips and trailers released online after this panel. I’ll post at the end of the day or by Sunday morning. FOX/Dawn of the Planet of the Apes Press Conference with stars Andy Serkis, Keri Russell and Gary Oldman and director Matt Reeves. FOX/The Maze Runner Press Conference with star Dylan O’Brien, director Wes Ball and writer James Dashner. Universal/Lucy Arena presentation – Luc Besson will present exclusive footage from the upcoming Scarlett Johansson/Morgan Freeman sci-fi thriller. This presentation will be a tight fit and dependent on the FOX press conference not running over (which they most likely will). Fingers crossed though cuz I really want to check this out. Son of Batman Encore Screening – I’m going to miss the premiere screening on Friday night, but since Sunday is so light, I’ll most likely pop in to watch this latest DC animated feature. Not sure if I’ll post anything about it. We’ll see. So that’s my Wondercon schedule. I’ve omitted a lot of the anime stuff that goes on there only because the screening rooms for those events always feel so… creepy? Ha. If you’re headed out to Anaheim this weekend, hope to see you there! Happy Wondercon/Easter weekend! Tags: Anaheim, Andy Serkis, Batman, Bryan Singer, Comic Con, comics, Dawn of the Planet of the Apes, Derrick Deane, Edge of Tomorrow, film, FOX, Frozen, Godzilla, How To Train Your Dragon 2, Into the Storm, Jay Baruchel, Keri Russell, Matt Reeves, movies, Son of Batman, The Maze Runner, WB, Wondercon, X-Men, X-Men: Days of Future Past, YA, YA fiction. Bookmark the permalink.